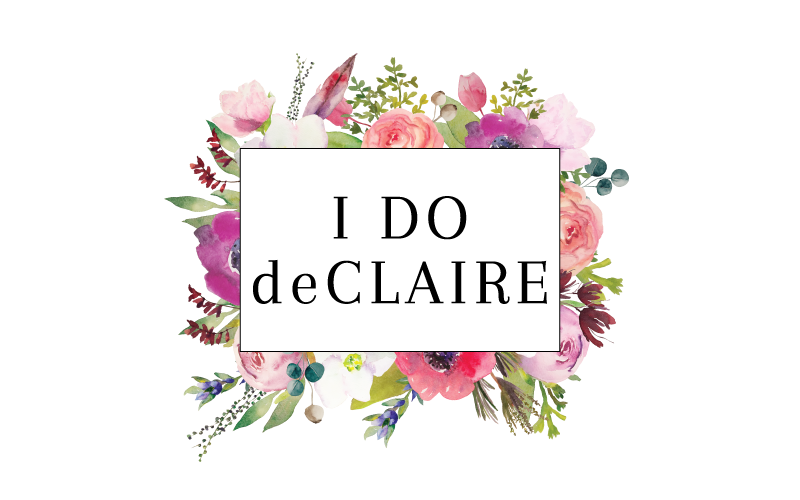 I do deClaire: Easy Fold Over Clutch DIY & Giveaway! Easy Fold Over Clutch DIY & Giveaway! I am excited to be partnering with the Eco Fabric Store on Etsy to be bringing you an easy and chic DIY clutch! 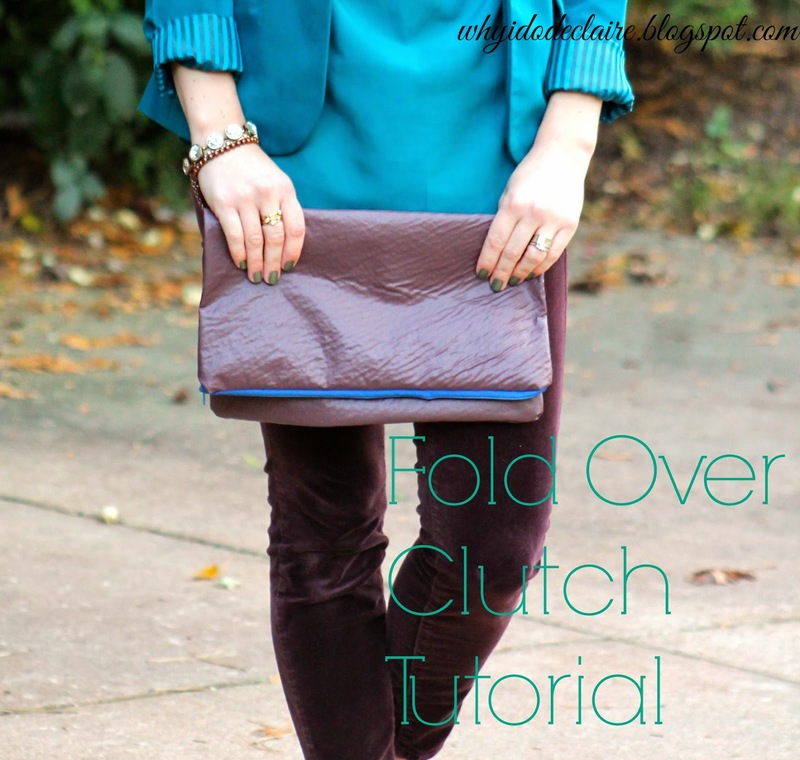 I have been admiring fold over clutches for months now, but with rare occasions to use them haven't wanted to invest in one quite yet. So when Vishruti contacted me about trying some fabric from her store I immediately thought of making a clutch with it! Before the tutorial here's a little more about Eco Fabric Store and organic fabrics: A little background about Eco Fabric Store and how it came into being : India is a country where being natural is not such a difficult thing. It is still the most basic lifestyle in our rural villages. People have better immunity, health and are in peace with themselves. India is a land where diversities really teach you if you are open to absorbing and learning. Extending natural living practices to fabrics being an integral part of our everyday lives was an idea I held very close to my heart - right from the days I graduated in Fashion Design. 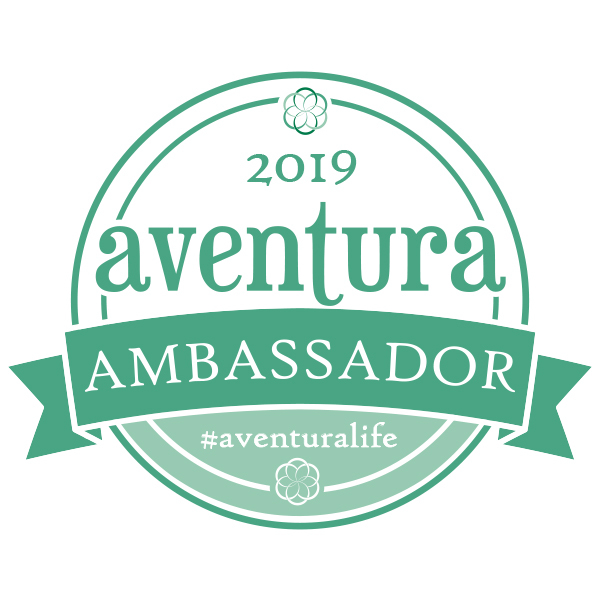 By God's grace, I met the right people who shared the same mission as I do and together the whole idea of natural plant extract dyeing and colors were formed. Eco Fabric Store is an honest attempt to fulfill that vision. All my fabrics are Eco Friendly and Earth friendly. The yarns are natural and are hundred percent biodegradable. We also offer a variety of fabrics made from Eco and Earth friendly fibers such as Organic Cotton, Bamboo, Hemp, Soyabean Protein, Banana and Ahimsa Silk. What's your favorite part about selling organic fabric? I love to create custom fabric prints for my clients. Obviously no one gets to see the designs because they are all exclusive and the only rights of those designs belong to the client- yet it is a fulfilling process. It takes me back to my learning days. I also have a little block printing space where I create fabrics prints using unique OOAK wooden blocks for myself and my family. What makes herbally dyed fabric better than other dyes? Chemical dyeing processes use over 8000 different chemicals in its various stages. As high as 40 times the weight of the fabric, water is required to process the same. Most of the so called eco-friendly dyeing or LOW impact dyeing available on organic as well as conventional cotton is still being dyed by using huge amounts of chemicals and dyes but in permissible limits. Thus they may be LOW impact but certainly not NO impact. The Eco cycle or ORGANIC Textiles can only end with True Organic processing where the waste is reused for e.g. in the form of manure. The naturally dyeing process is a lovely story - GOTS Approved Natural Dyeing (also referred as Vegetable dyeing, Herbal Dyeing). We have developed the expertise to dye/print with flowers, roots, fruits, etc. This not only prevents water pollution due to replacement of petrochemical dyes with vegetable dyes/natural dyes,but also imparts medicinal value to cloth as many herbs used for dyeing are having high medicinal value. Also, this is not a newfound process, it was a common practice in ancient India. Historically done by hand and on small scale. However working with nature needs me to work according to its moods! For instance the rainy season doesn't allow the natural dyes to dry soon. There is also high humidity issues which causes certain pigments to coagulate which is why certain colors cannot be prepared in certain seasons. Tell us about your other etsy stores. www.IndianJournals.etsy.com - Its your haven for OOAK Indian style journals. Available in blank and ruled versions in 5 sizes. Perfect for personal use and gifting! www.PaperPlaza.etsy.com - The Indian stationary supplies store! Wonderful blank money gift envelopes, plastic clear cello bags, 3d mini greeting cards, stickers etc. I may have a fabric that you want, but is not listed. Also, I would love to sell them wholesale as well - just ask. 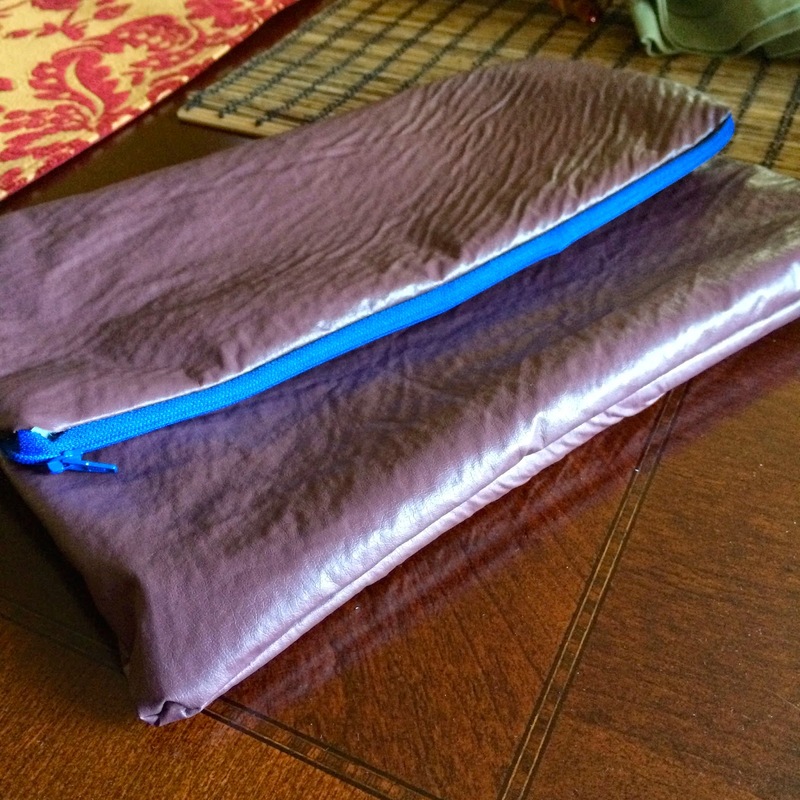 I adapted this tutorial from a cute clutch tutorial I found on Casa de Lewis, but changed the dimensions and added an inner pocket for organization. Check hers out, too! 1. You will need about 1/2 a yard of faux leather and 1/2 a yard of organic fabric for lining, a 12 inch zipper, and matching thread. And a seam ripper if you tend to make mistakes like me. 2. 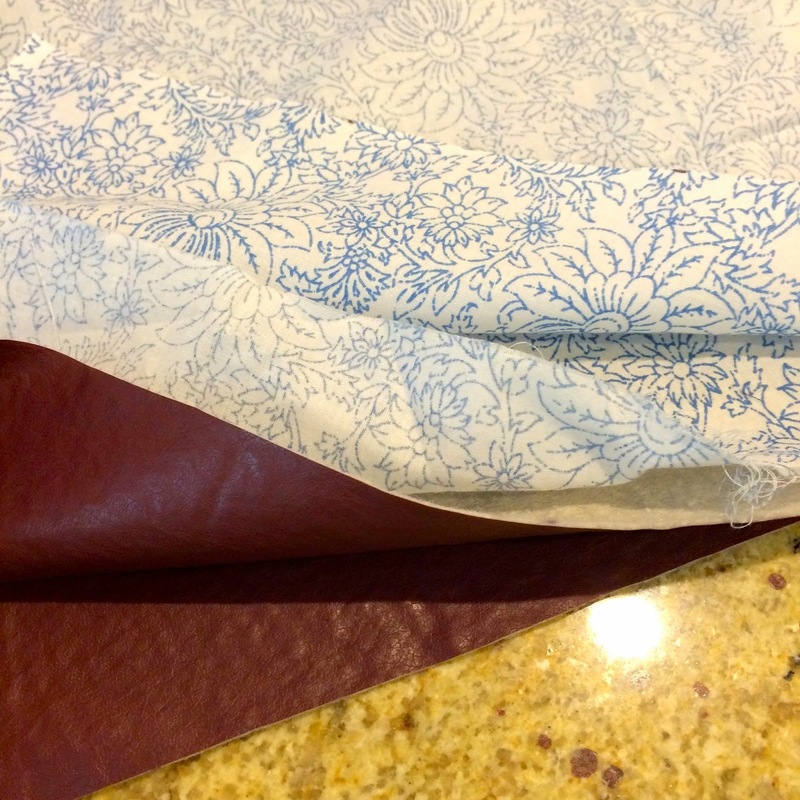 Cut out 2 squares of your faux leather fabric and 2 of your lining fabric sized 14x16 inches to make a 12x14 inch clutch with seam allowances. 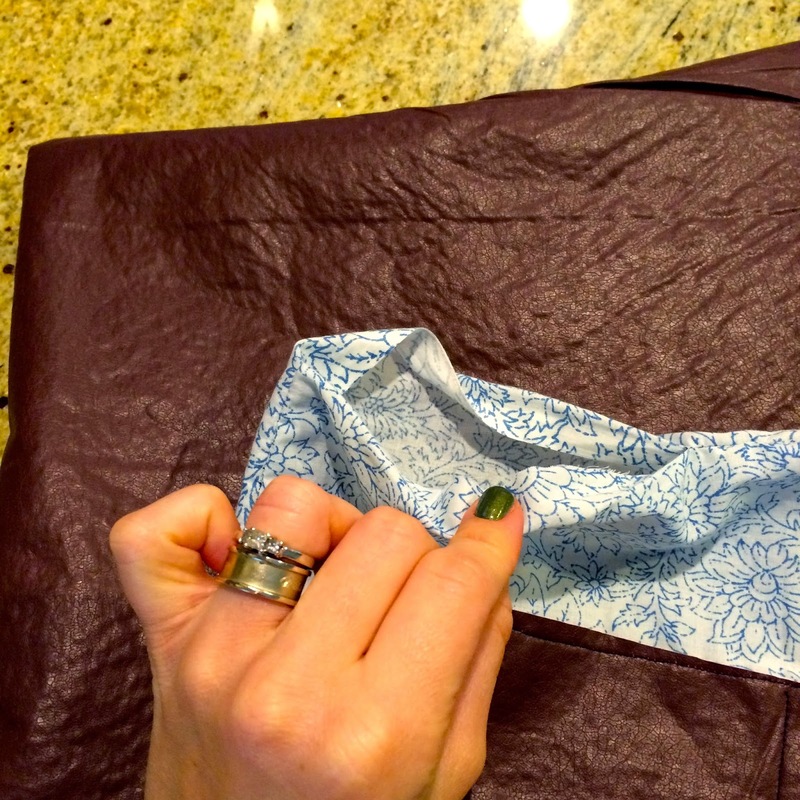 Cut out your pocket from the faux leather fabric measuring 7x4 inches. 3. Place your pocket on the right side of one of your lining squares 3 1/2 inches from each side and 3 1/2 inches from the bottom. Pin on and sew. 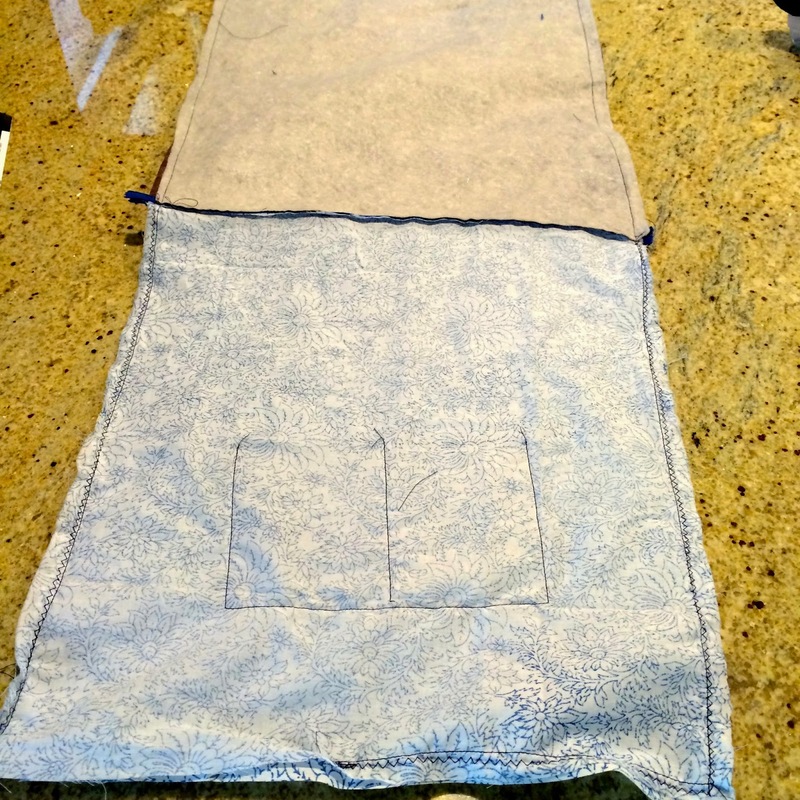 I also sewed a line down the middle to make two pockets from it. I didn't even hem it because faux leather shouldn't fray. 4. Place one square faux leather right side up on table. 14 inch side will be the top. 16 inch side will be the sides of the clutch. Place zipper with head down on the top edge. Place one square of lining fabric right side down on top of the zipper and faux leather so zipper is sandwiched between the two fabrics. Pin and sew along the top edge. 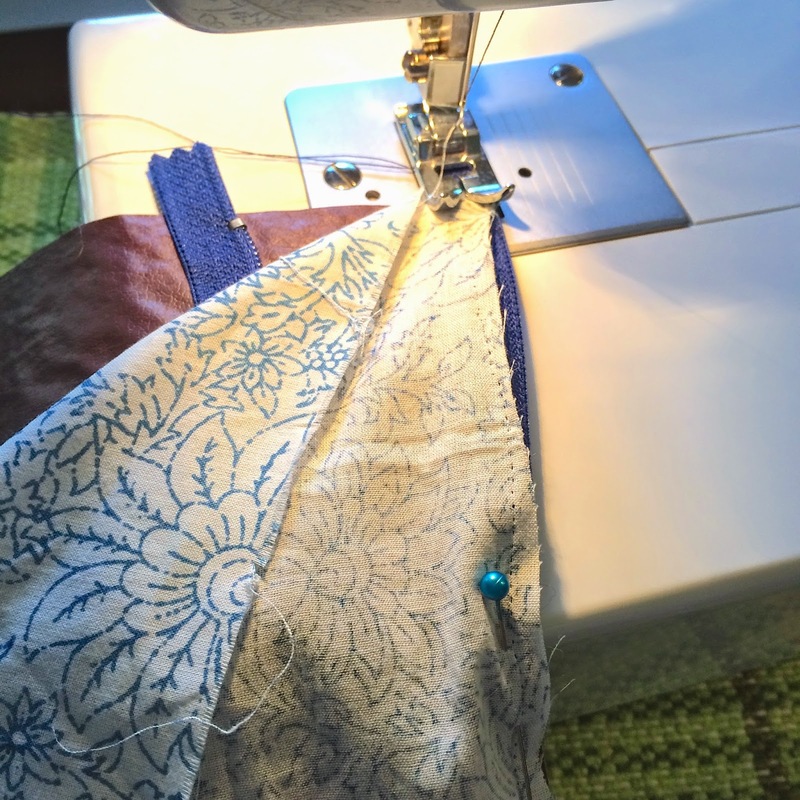 TIP: I unzipped the zipper a few inches, sewed a few inches, then zipped it up so the zipper wasn't in the way of the clamp on the fabric on my sewing machine. 5. 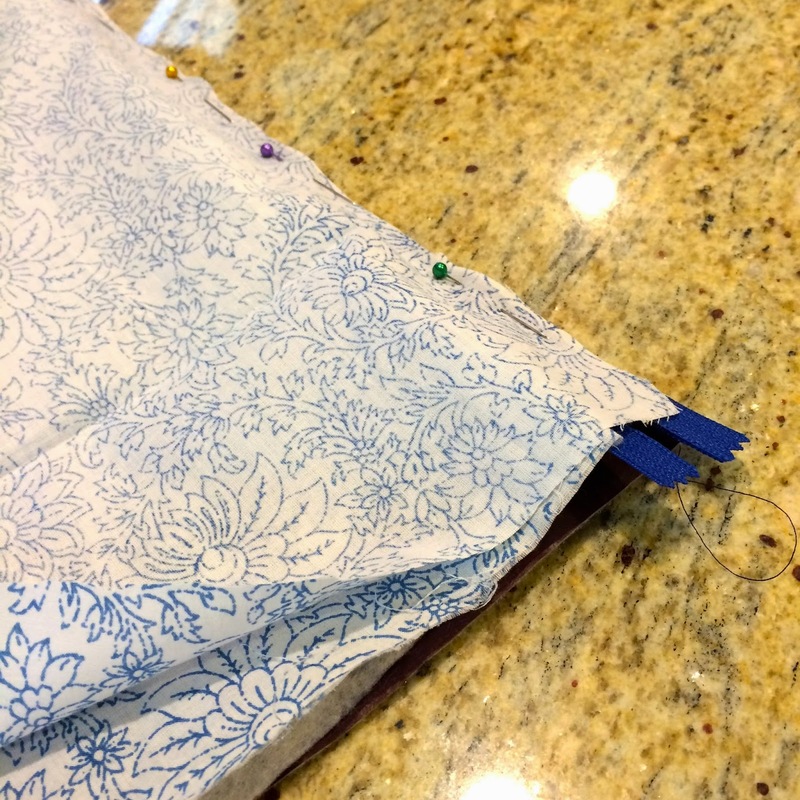 Turn your sewn fabric right side out and hold by the zipper. 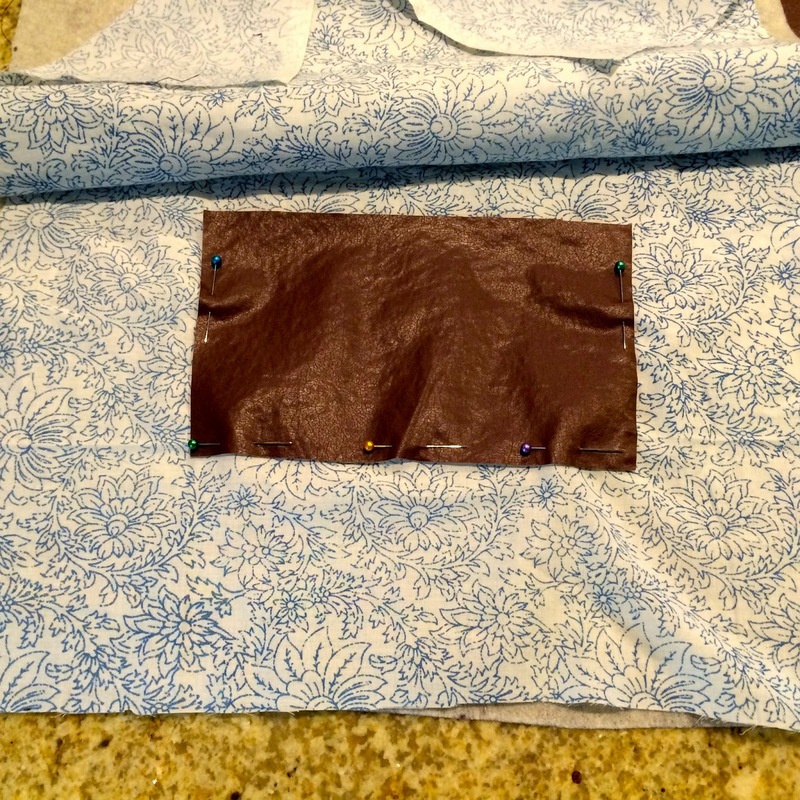 Place your other faux leather square right side up on the table, place the unsewn zipper edge against the top of it (14inch side) and then place your lining square right side down over the zipper and pin the top edge. the other squares already sewn will be sandwiched in between the lining and faux leather. 6. Place your pocket on the right side of one of your lining squares about 3 1/2 inches from each side and 3 1/2 inches from the bottom. Pin on and sew. I also sewed a line down the middle to make two pockets from it. I didn't even hem it because faux leather shouldn't fray. You can do this step after step 2, but I elected to do it at this point because I wanted to make sure of the location and see how it would work. 7. Once the pocket is sewn, unzip your zipper about halfway. Put the right sides of the fabrics together. So the rights sides of the lining and right sides of the leather will be touching and it should look like a giant rectangle with the zipper in the middle. Pin if desired and sew all around raw edges leaving a few inches unsewn on the lining fabric. I also zigzag sewed along the edges to make sure they were secure and the lining would not fray. 8. Use the hole you didn't sew to begin to turn the clutch right side out. Hand sew or machine sew the remaining lining fabric together and voila! A fancy shmancy new clutch! I think my favorite part of the whole thing is the lining. It's so fun unzipping a bag and finding a beautiful lining. This lining fabric is so pretty and I have just enough for another clutch. I am thinking navy or maybe even a bright yellow or pink! Fabric, Speciality Fabric is my favorite coz it's pink, purple and white at the same time. you make the coolest stuff! i need a sewing machine. these turned out so well! your sure a crafty ladies. I love fabric you used in the inside of your clutch. I love a bag with a gorgeous lining as well. This is such an easy project, I'd like to try it with some leather salvaged from the thrift store. I have been on a crafting binge lately and would love to try this! Sadly, I have never touched a sewing machine in my life haha. Maybe now is a good time to start! I really wish I could sew! Such a cute clutch! I love the color and the fabrics you picked! Tie Dye Print, Yellow Grey, Organic Cotton, Cambric Fabric, Vegetable Dyes, Herbal Plant Extracts, Indian Technique, Hand Dyeing, Eco Fabric. It is just so pretty! I can see it as something in my home. I like the floral print in blue and white. Fun clutch! I love the yellow and orange block print cotton because I love Indian-inspired prints. This is beyond easy I promise! I can't really sew either. I feel like a fraud whenever I do sewing tutorials because I don't really feel like I have any skills! DIY's are fun and I hope I can do some myself but not good at sewing, lol. Safe, Natural Dyes,Eco Fabric. The color combo is cute. i love it because of the floral pattern! Oh man - I love this post! 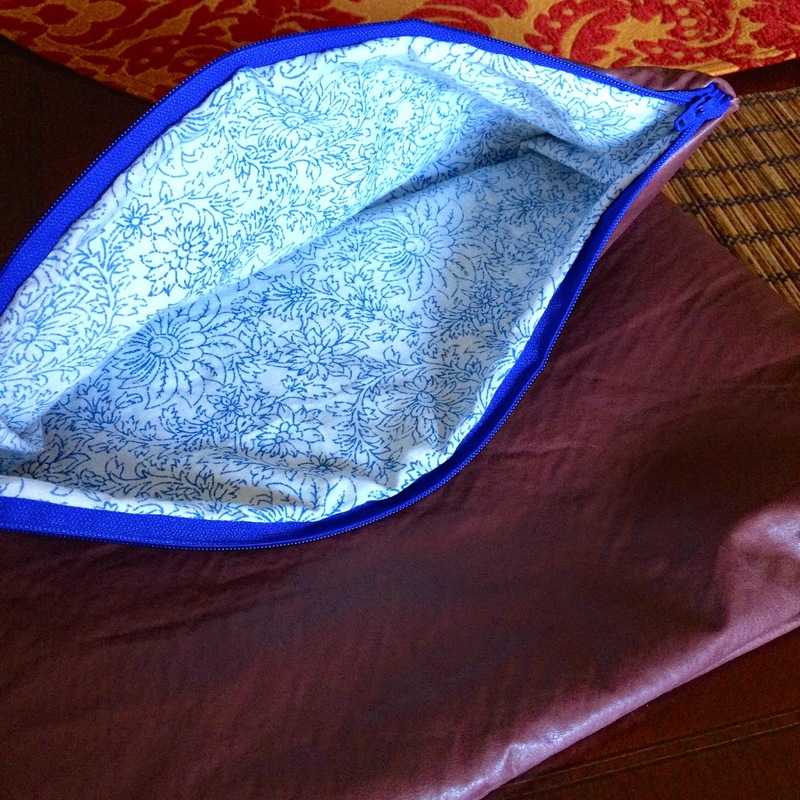 I have been wanting to make a foldover clutch for so long and the zipper totally freaks me out. I tried a zipper once, it was a mess, and I haven't had the courage to go back. You might have inspired me to give it a shot! And I love the new fabric store. 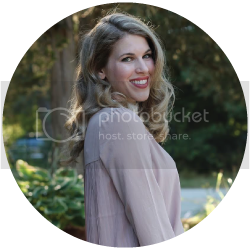 I'm always looking for options outside of the big box stores around me (and that aren't as overwhelming as the big online warehouses). And I just love Etsy, so this is perfect. I love the Brick Red, Khadi Fabric. So, I am pinning this post and might just have to finally make this! Thanks for sharing. Looks awesome. The white and Charcoal Leafy Vines Fabric is my favorite! I cannot wait to try this DIY! Pink Blossom Print Organic Cotton Fabric. I really like the Indian Fabric print the best. It really reminds me of Fall and it is super colorful. This was not bad at all, I promise! I don't even know how to sew a button hole on my machine and hadn't even tried a zipper before this! I finished this in just over an hour! I like the Ivy print in white because of the classic graceful vines and because I love blue! It's so hard for me to visualize how a piece of fabric will look when it's made into something wether it be a top, a lamp shade, etc. This fabric I liked anyway but it's the only one that showed it made into a top. Hmmm, I so need to learn how to sew. Great DIY. Your talent always amazes me! I love the White Mulmul Organic Cotton! It looks great for making a pillow! I love the tie dye style, blue grey, cambric cotton, vegetable dyes, eco fabric. I love the leafy vines print - I like busy prints! I like the white mulmul organic cotton because it is versatile and need some new pillow for the sofa. I have an almost identical clutch but mine is teal and from Old Navy. Love yours, perfect for FALL. My mom would love your stuff!! Very pretty. I would choose the teal fabric. Thanks for the chance. I love the pink blossom print. Gorgeous! I like the yellow and grey tye dye print because I am a hippie at heart!! I can think of a million things to do with the white and indigo ivy print.... I'm dreaming of a blue and white kitchen. I really loved Dahlia Floral Print because the pattern is georgous and I love cotton ! I love to soft pink Aztec print fabric. One of my favorite colours and perfect for making a dress for my little grand daughter. My favorite has to be the Dahlia Floral Print, the design is gorgeous yet the colors are not overwhelming (I love paterns but I'm not a fan of multicolored ones) that one is so perfect in just gray and white.